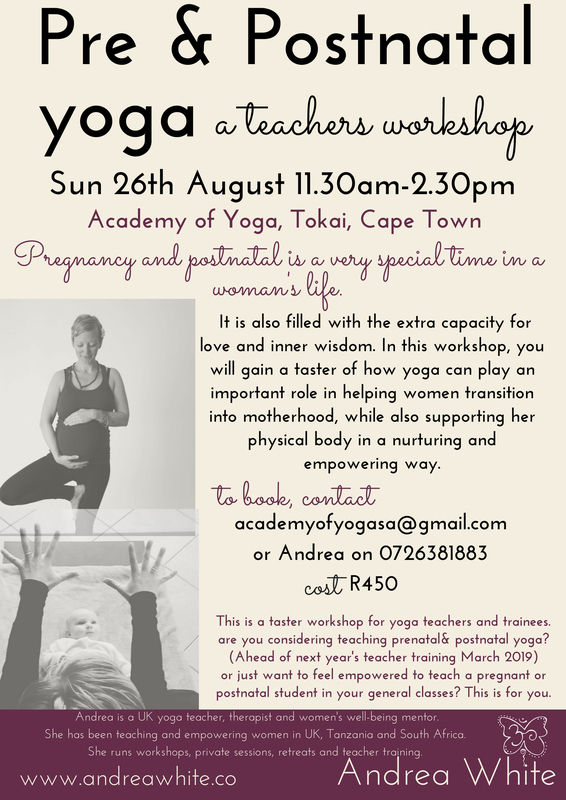 We are very excited to be welcoming Andrea White to join the AYA Team to present this one day Pregnancy Yoga Workshop for Yoga Teachers. It is a short workshops where you will get a chance to meet Andrea, her teaching style. Find out what practices and asanas need to be adapted for pregnant ladies who may be joining your regular class as well as finding out more about the full 42hr Pre and Post-Natal Teacher Training Course she will be running in 2019. Please note, this workshop is limited to 10 participants. Full payment of workshop secures your space (please note that as of 14 Aug we have 4 spaces left).